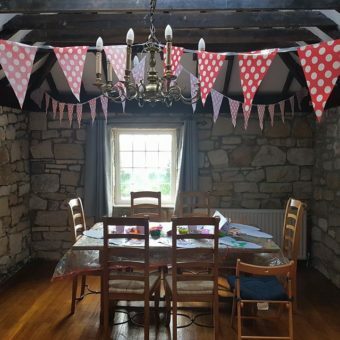 Looking for a fun filled, special children’s birthday party in Durham? 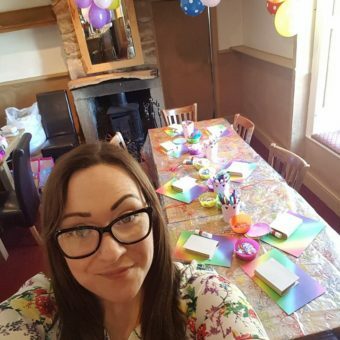 – I am available to travel for your child’s birthday party to most areas of County Durham including Chester le Street, Stanley, Consett, Durham and also Gateshead and Newcastle. 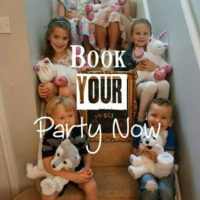 We offer four fabulous birthday parties so you can pick the one you know your birthday girl or boy will love the most. 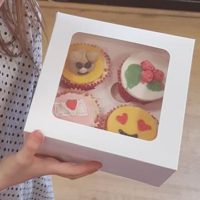 Choose from Craft & Cupcakes Parties, Children’s Afternoon Tea, Cupcake Decorating Parties and Build a Bear style birthday parties, or to make the day really special we also offer an ultimate, bespoke birthday party. Suitable for children aged 2yrs – 10yrs approx. 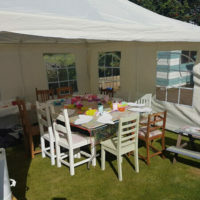 Party lasts approx 1 and half hours depending on the age of the children. Minimum of 12 children priced at £150 (and £9 for each child thereafter). 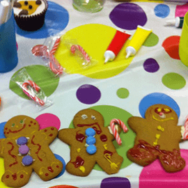 Fancy making more edible creations? Why not add cookies to your party? Decorate two large, pre-made cookies using a variety of sweets and edible embellishments, which are then placed in clear bags and tied with ribbon, making a perfect alternative to a party bag! 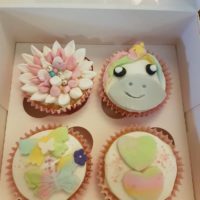 This additional treat can be added to any party for £3.50 per child, please just add a note when completing the booking form to order. Time to get creative with food! 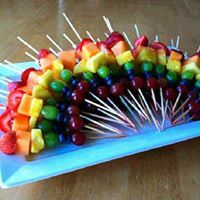 Children get creative with a selection of savoury and sweet treats which will then be their party food! 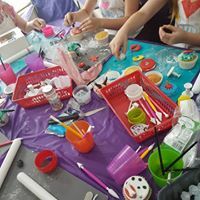 A popular option for a unique party where all the food the children make and create is themed to what your child loves. You chose the theme and I will design some amazing fun party food ideas (included in the price!). 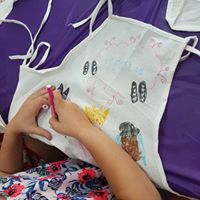 Each child will also have the opportunity to personalise their own fabric apron to use during the party and take home! Party game & prize is also included. 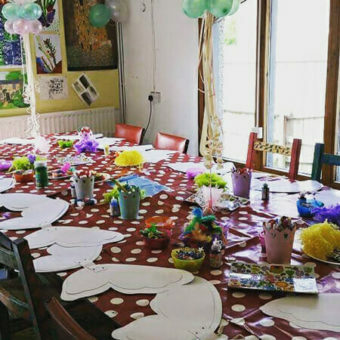 Parties last approx 1hr 30 mins and are suitable for children aged 5 – 10 approx. Minimum of six children £140 – £15 for each child thereafter. (This package is perfect for an at home party. If you numbers are much larger please ask for a personalised quote). Get creative with our Cupcake Master Class Party! Each child will create their own personalised apron to decorate and wear. Then we move on to our cupcakes! With oddles of cutters, icing colours, tools and edible embellishments! 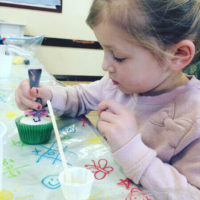 Each child will create their own themed cupcakes, learning how to roll icing, use cutters, glitters and embellishments! 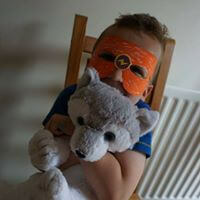 Parties last approx 1hr 30 mins and include a party game and prize as well as all materials. 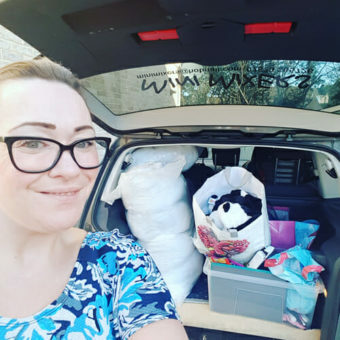 £150 for 6 children – £10 per head for additional children. 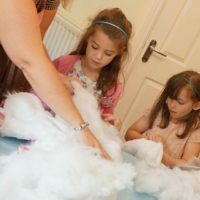 At this party, children get to make their own Be My Bear! 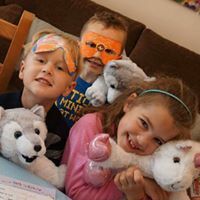 Get creative with a ‘Build a Bear’ Style friend to take home along with a themed craft. My no stitch bears are perfect for children! 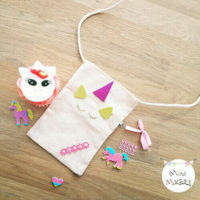 With a wide choice of crafts to compliment your party too its a great combination for crafty kids. 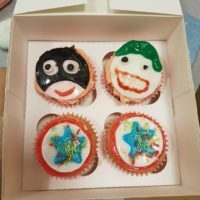 They then get to decorate 2 themed cupcakes. 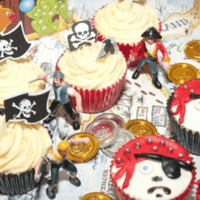 Along with parties, games its Oodles of Creative Edible Fun! Allow 1 hour 30 mins for this party. Approx for children aged 5 – 12 approx. Minimum of eight children £160 – £15 for each thereafter. This package is perfect for an at home party. If you numbers are much larger please ask for a personalised quote. Would you like Mini Mixers to organise the whole event for you? From cups, balloons, food, entertainment…..EVERYTHING? 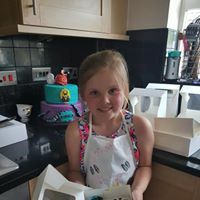 Perfect for a busy family, I will build you the ultimate party package based entirely upon what you want for your childs day. The best thing about our bespoke birthday parties? You get to enjoy your child’s birthday without having to do a thing or being stuck in the kitchen! Don’t forget, I have a 5 star rating too! Fabulous! Charlotte was great, well organised even before the party. Really helpful. 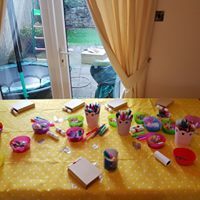 The party consisted mainly of a craft session (wand or sword) stuffed make a bear then decorating cupcakes. All really great quality and really good value for money. Kept 10 six year olds focused and occupied! There were lots of great little touches: proper containers for the cupcakes so they weren’the squashed! A little story at the beginning to set the scene and a couple of little party games. Great for the kids….very impressed and Charlotte herself has a really lovely manner with the kids!